Nothing is above Trust and Respect! Canadians depend on their furnaces to keep their homes cozy. A working furnace also helps you to avoid winter problems like burst pipes when the season gets cold. Since your heater does not work during the summer months, it can become damaged without your realizing it. 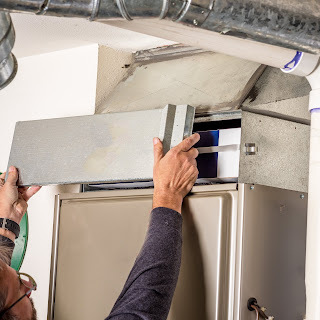 It’s essential to arrange furnace repairs as soon as possible when a problem develops with your unit. 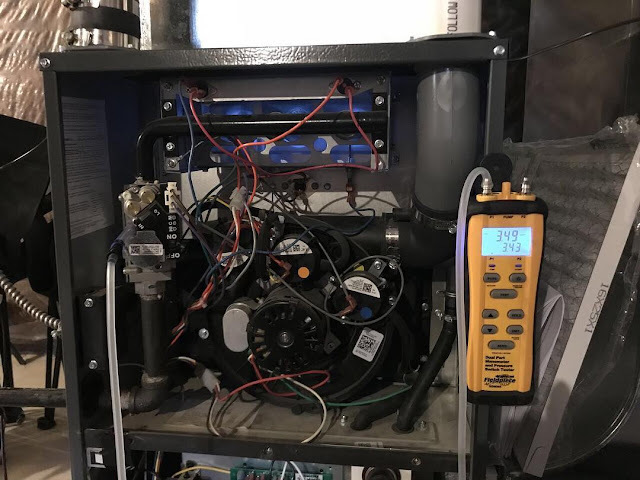 We list five common signs that your system needs examining and servicing in this article. If your furnace smells like sulfur or rotten eggs, it’s cause for alarm. Fuel providers and utility companies put smelly substances in otherwise odourless natural gas. If you smell this kind of stench, it could signify a natural gas leak. This can cause an explosion and disastrous fire in your home. Take urgent action. Leave your home at once. When you're a safe distance away, call your utility company and fire department for help. If the heat exchanger component of your furnace is cracked, it can cause a chemical odour. This odour smells like formaldehyde. A cracked heat exchanger increases your probability of fire. It can also produce carbon monoxide gas, which will spread through your home. Metallic and electric smells arise from extreme heat within your furnace. A more metallic scent may come from a damaged rubber component. An odour like burnt wires may signify an overheating metal component. It can be exasperating when the furnace won’t come on. Reasons for your heater not working can be simple or very complex. You can check a few things before you call a certified HVAC contractor for service. First, check to make sure the filter is clean. Second, look at the pilot light. This is often the problem if you can hear the furnace clicking on, but it does not fire up. Next, check your thermostat settings. Ensure that it's set to heat and that it’s colder in your house than the temperature is set to. Then, make sure power to the furnace is on. You can also check the breaker to make sure power to the heater has not tripped. Finally, make sure your gas supply to the heater is open. Leave your home straightaway if you smell gas or think there is a leak. Call a professional to investigate the potential problem. Your natural gas furnace should have blue flames. It should have a light blue triangle in the middle. There may be a tiny tip of yellow. The reason the flame of your pilot light is blue is that it’s burning a chemical compound called methane. A blue flame signifies safe and efficient combustion. It's burning the gas efficiently and not wasting it. Blue flames are hotter and show more complete combustion. A yellow, red, or green flame can mean a serious problem. A yellow pilot light means an unbalance in the air-to-gas mixture reaching the burners. It also signifies that there is too much oxygen. A yellow pilot light will also produce poisonous carbon monoxide. Other flame colours indicate that another condensate is burning along with the methane. Condensates include grime, dust, oil, or rust. Long streaks of any colour mean your furnace needs adjusting. Your HVAC technician may also need to clean it. Don’t try to repair a discoloured pilot light on your own! A blocked or dirty air filter will stop the furnace from distributing heated air to your space. Such a clog will cause the filter to cycle on and off on its over-temperature device. Clogged or dirty air conditioner coils will restrict air flow. Dirty coils create the same problems as clogged air filters. Open supply and return air ducts can also cause low heat. Finally, make sure your furnace is the right size. An undersized furnace may perform well in mild weather, but it will struggle to deliver enough heat as the outdoor temperature drops. It’s normal for a furnace to make some noise while it’s working. But some noises show that something is wrong with your heater. For example, a grinding noise means there is a problem with your cage blower wheel. A booming sound indicates a partial block in your burner assembly. Your furnace will make a squealing noise when there is a lot of friction in the moving parts. A thumping sound emanates from an unbalanced blower wheel. Don’t ignore these five problems. Doing so could mean you’re risking a full system breakdown, or worse, an explosion. Instead, call Air Makers at 416 332 2493 EXT 2 (service) for immediate furnace repair. Furnace fan running but no heat being produced? 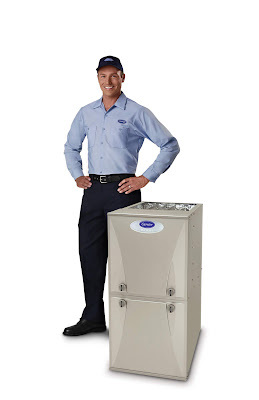 Since 1998, dedicated to its founding principle - building relationships based upon mutual trust and respect - Air Makers Inc. has been providing the Greater Toronto Area with exceptional Heating and Air Conditioning services. Through the supply and installation of industry-leading heating, ventilation and air conditioning (HVAC) products and solutions, we are always striving for excellence, helping you live more comfortable and healthy lives.